Chicken Legs is a huge quiche fan. We eat it a lot for dinner since I don't get up at the crack of dawn to cook breakfast. I decided to combine quiche with my favorite food - pizza. It turned out fantastic. It was super creamy and delicious! It was the best of both worlds. I had my pizza flavors and he had his quiche. We both really liked this. I just used sausage and pepperoni, but next time I might add mushrooms (for Chicken Legs). I also thought this might be pretty good with some pizza sauce drizzled over it. Maybe? It is worth a shot. 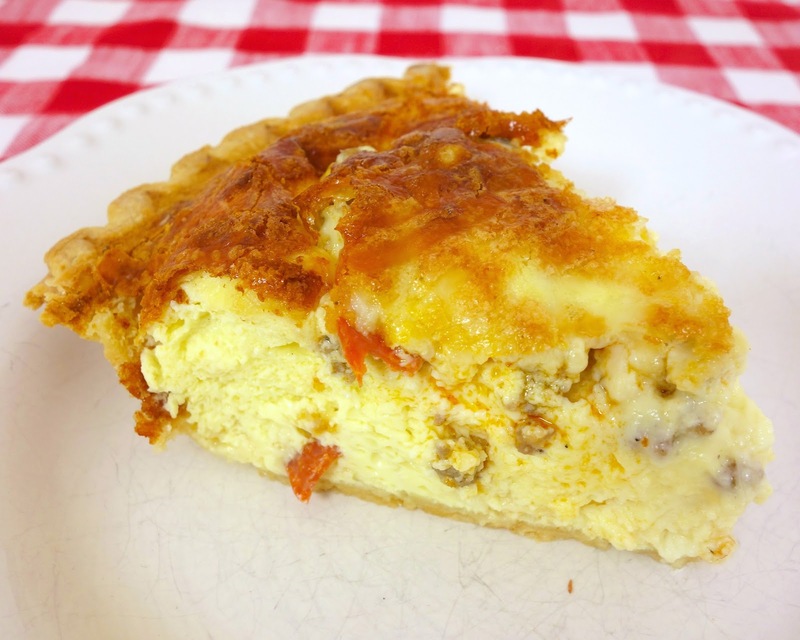 Place sausage, pepperoni and cheese in bottom of deep dish pie crust. Whisk together eggs, heavy cream, garlic powder, salt and pepper. Pour egg mixture over meat and cheese. (You may have a little leftover). Bake loosely covered for 45 minutes and uncovered for 10-15 minutes, until center is set. Allow to cool for 10 minutes before slicing. I really like your idea here Steph - it looks and sounds delicious and like your hubby, I'm a big quiche fan. What a great idea! I have to make this! Thanks for sharing. Sounds like a good recipe, thanks! Real Men Don't Eat Quiche. Plain Chicken Rocks! I just made your Spicy Sausage Skillet and it was delicious! I had the Daughter, Son in Law and Teen Grandkids over, I served it with chopped salad, garlic toast and I made gingerbread for dessert served warm with Extra Creamy Reddi Whip, everyone likes to squirt their own. It was a fun dinner and your recipe was wonderful, perfect for a casual get together. Thank You! this looks excellent--how about adding red peppers too. Yummy. 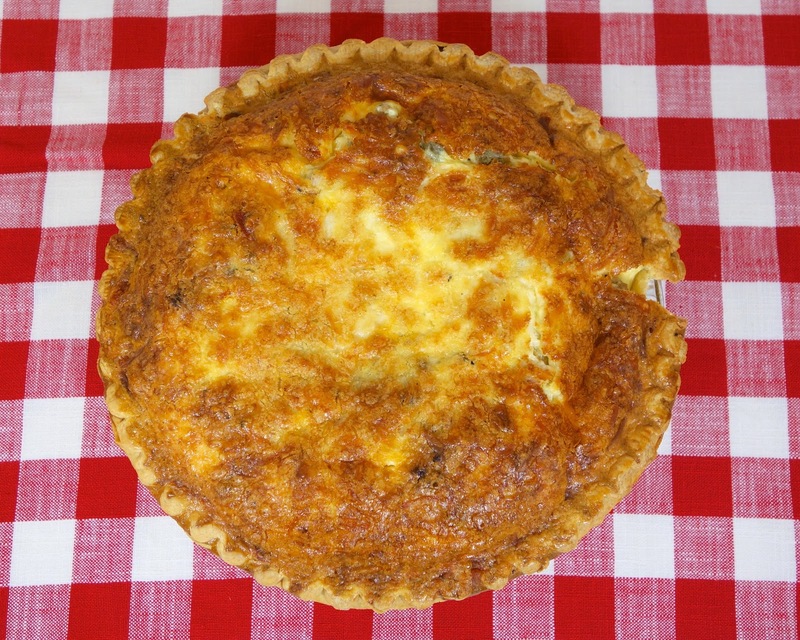 I do love quiche! I might have to make this since I'm tired of all our regular things we always cook.